HomeKit Compatibly - Make a Wish - Alfred Center | get the most out of the best home security app! What’s the chances of getting HomeKit compatibility with this? The stream of the cameras are brilliant but I would love to add it to my HomeKit setup under cameras. What is a HomeKit, I have never heard of this yet. Sounds similar to IFTTT, or email notifications to work with Smart site detection of motions. HomeKit is Apple’s control centre for a smart home. I know that Alfred already is hooked up to Google Assistant, so I can’t see it being a far stretch to have HomeKit compatibility. On a side note, when looking through alfred there was a section somewhere with a list of products to hook alfred up too. The list was LONG, your SmartKit option may be listed already in there. I’m sorry I can’t remember where I came across it either. I’ll post if I find it again. Lecram, Alfred is no longer able to integrate with Google Assistant. Someone dropped the ball. I’m can’t get Google Assistant to work with Alfred Camera either. I am looking for some other post on that with a response for the Support folks or I will start my own post. There are a few more posts in here if you look around. They’ve sent out an acknowledgment response and that we should “stay tuned”. They’re aware that Google changed things which doesn’t recognize Alfred now. Since the update 2002, which was also the logo change. Now in update 2008 and nothing fixed. 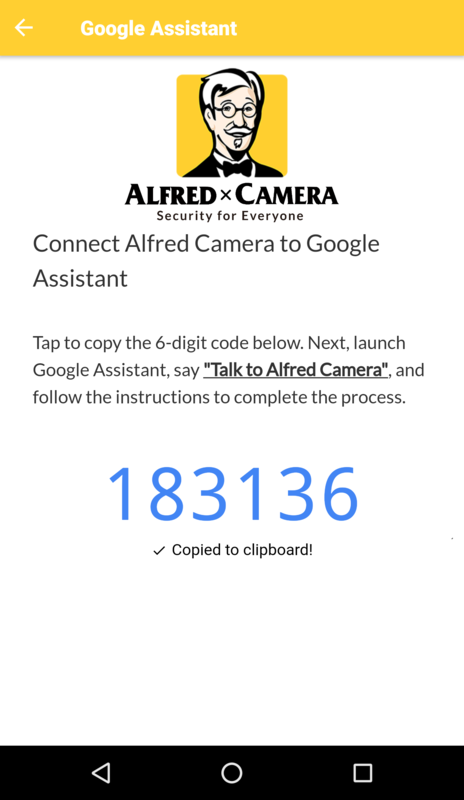 Google Assistant: Alfred Camera is NOT AVAILABLE. Google Assistant for Alfred is back to work now! Give it a try and let us know if it functions properly.